because i'm feeling the love. i have one of these prints in foster's room. i really needed it in there when he was a newbie, know what i'm saying? it has rotated around my apartment a lot. so, today's your lucky day. 13x19, powder blue with white text. winner will be chosen by random.org and announced sunday night. I need to remind myself of this every single day. I love this!! I definately need this reminder sometimes! I discovered your blog from a comment you posted on Libby's. I am now a follower of yours, too! really like it danielle, I've been a closeted blog follower for months. Keep it up ! OOHHHHHH FUN! 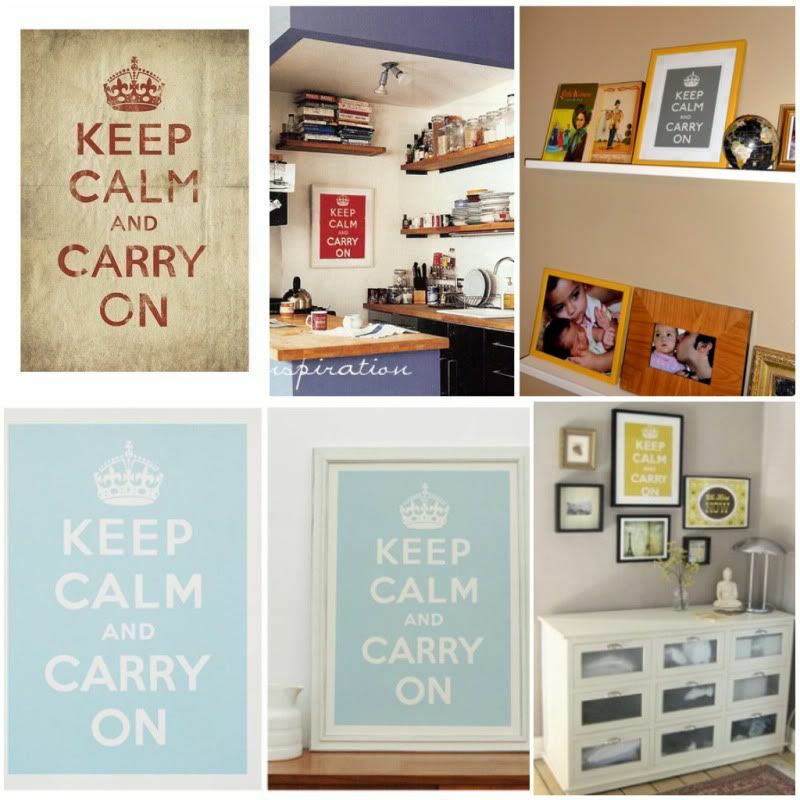 I am always reminding myself to Keep Calm and Carry On...love your blog girl!! cute! what a fun idea to do a giveaway! I would love to read those words every day. Goes along perfectly with what the Lord is trying to teach me right now. I definitely need to read this like every hour!!! I'm adding you to my reader! I love it! put me in for your giveaway :) yay! i would love to be entered.... :) have a great night, friend! I love the signs - would like to tattooed on my arm for when things get really crazy. Just found your blog and I just love it! Thinking that after the week I've had, I could use a little daily reminder to keep calm! Thanks!